Anil Kapoor gets to showcase his energy as a dancer and that builds the right base. What’s Good: Giving out the message without shouting out loud, very good amount of humour in the first half and some very impressive supporting cast performances. What’s Bad: It just never settles in the zone where you can fall for the beautiful subject they’re trying to highlight, it takes you at the peak with all fun and games but once you reach there, the impact is not as effective as you expect it to be. Loo Break: A few of them in the second half, when the drama turns into melodrama. Sweety (Sonam Kapoor), a lesbian, who for obvious reasons is afraid to come out of her closet. She’s a shining student and her family is looking out for suitable ‘guys’ for her. Her brother is aware of her secret since years and chooses to remain silent with a hope that he’ll be able to ‘change’ her. She meets Sahil Mirza (Rajkummar Rao), who starts falling for her. Sahil is an aspiring play-writer and a son of a hot shot movie producer. Towards achieving the artistic quest in his life, he finally falls in love with a girl who’s a lesbian. Meanwhile, Sweety confesses everything about her to Sahil. The artist inside him designs a play which portrays the real truth of Sweety in order to convince her family about her sexual preference. Shelly Chopra Dhar’s story is honest but it just doesn’t get the fly it deserved. It had the potential, had the idea with the backing of a genuine topic that needs to be talked. First half is just filled with brilliant dialogues by Gazal Dhaliwal arising in very funny situations. It is the second half where things start to dwindle a bit. The fun banter scenes between Anil Kapoor and Madhumalti Kapoor Ji come in as a huge comical relief. Very well written striking every right chord. There’s not a single scene between them which went by without garnering any laughs from the audience. 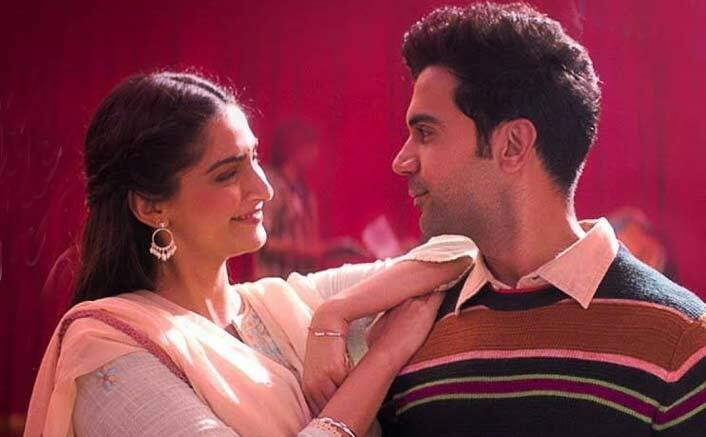 The reason why Rajkummar Rao decides to help Sonam and why her brother decides to stay silent for years comes across half-baked. Starting with the best, Madhumalti Kapoor takes the cake. Her character shines brightly because of the writing and her on-point portrayal of Beeji. Following the best, Anil Kapoor gets to showcase his energy as a dancer and that builds the right base. He’s as natural as it can get as a father displaying various emotions par brilliance. We’ve seen many amazing performances of Rajkummar Rao but this is also not the worst. It just stands somewhere in between. After back-to-back mind-blowing performances, the expectations are really high from this future superstar. Juhi Chawla gets the perfect platform to show the ever-bubbly side of hers and that works hugely in her favour. Brijendra Kala and Seema Pahwa evoke many laughs despite having very short screen time. These are the actors that really make this movie a memorable affair. Sonam Kapoor is just out of the place. Not because of her off-screen persona but there are certain roles in which you can never expect to see certain actors (Ben Affleck as Batman, even he’s leaving). Shelly Chopra Dhar surely seems to be a promising director if given a strong script. She handles the screenplay very well but the story just falls short from being an impactful one. Shelly captures the essence of the script very well but that’s just not enough here. The title song by Darshan Raval is the solo winner when it comes to choosing the good songs from the film. The unnecessary party song and a boring Good Morning song just bloat the screen-time. Gud Naal Ishq is lively because of the nostalgic factor and Anil Kapoor dancing on it. All said and done, Ek Ladki Ko Dekha Toh Aisa Laga is entertaining as a film but fails to live up to the huge promises made by the promos. A brave attempt and full marks for the implementation. The very strong supporting cast and uproarious dialogues keep you attracted towards it. Ek Ladki Ko Dekha Toh Aisa Laga releases on 01 February, 2019. Share with us your experience of watching Ek Ladki Ko Dekha Toh Aisa Laga. How could you say Ben Affleck was a bad casting ? People consider him the perfect Bruce Wayne and there was nothing wrong with his performance rather than the film and writing of the character itself. When you are used to watch content-less film, and you watch content based film after a long time, you don’t know how to give ratings. I don’t understand what critics hate Sonam Kapoor and Abhishek Bachchan so much. 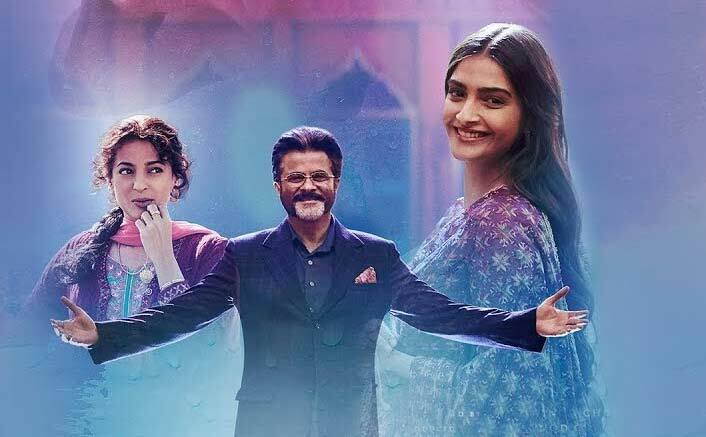 Sonam Kapoor has done some great works. I wouldn’t consider her as one of the best, but she can act. Abhishek Bachchan is one of the most underrated actors in Bollywood. He has done some very good films. He is just unlucky on choosing the script when he plays the main role. People like to compare him with his father (who cannot be even compared to other A-listed actors). Critics should praise the actors when they have done good acting. Reviewers (like Koimoi) gave SRK’s acting in JHMS as one of his best actings, where he has not even tried to act. Junior Bachchan was the best in “Happy New Year”, but SRK got praised more when he did his worst acting of his career. Its a very good movie… go watch it. The review is useless ! !